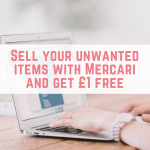 Selling on eBay is a great way to declutter and release cash from your unwanted items. Every month I bring you 10 weird things that actually sold on eBay that month and it never fails to amaze me! I cannot believe some of the items actually selling on eBay. Here are my selling tips for eBay. On eBay you can easily search for completed listing of items that have sold (simply click on “advanced” just to the right of the search bar, or if you are using the eBay app then you will need to filter your results. 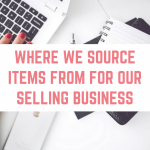 Seeing the items that have recently sold, and how much they have sold for helps you to work out what is worth selling and how much to price your items for. If you have a smartphone or tablet then the eBay app makes listing about a hundred times easier! You can take photos with your smartphone or tablet and upload them using the app. You can do pretty much everything on the app, including scheduling your listings to go live on a certain date (see below). If you have an iPhone and iPad and use iCloud to sync your photos then you can even take the photos on your phone (which tends to be better quality) and use your iPad to list them. Every month, private sellers are given 20 free eBay listings. You will still have to pay your final value fees (10%) and your Paypal fees, but it doesn't cost anything to list up to 20 items. eBay also give you plenty of promotions where they give you up to 100 free listings – you won't always get an email about these, so log in to your account on a computer, go to My eBay>selling and scroll down to the bottom to see how many free listings you have remaining for the month. 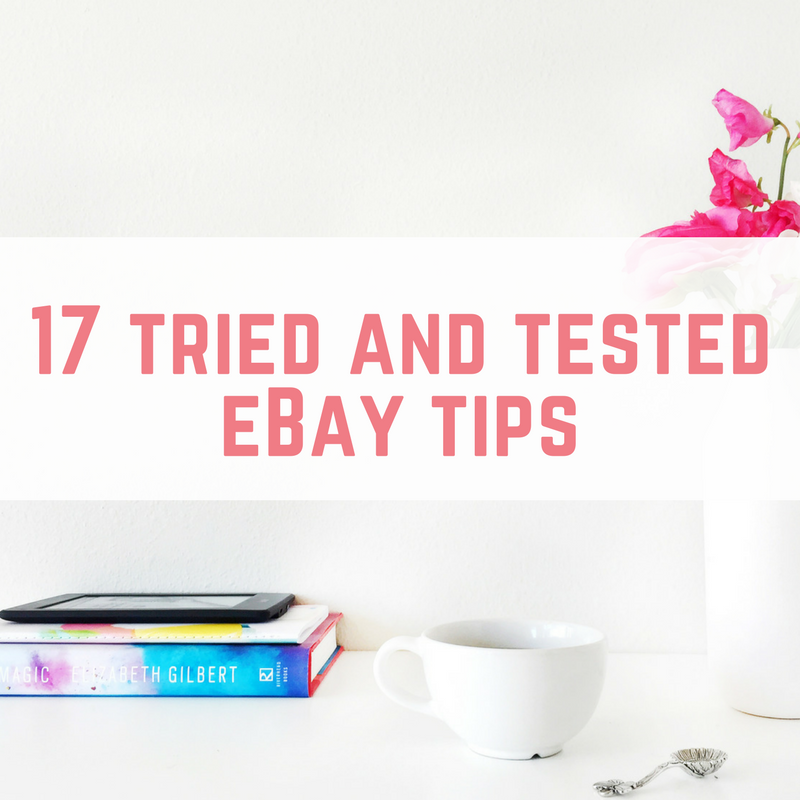 I try to make sure I list 20 things on eBay every month – after all, it is free! 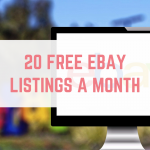 Did you know what eBay allow you to schedule 20 listings for free every single month? This is a great way to list your items when they have the best chance of not only selling, but selling for the highest price. If you happen to be up at 2am on a Tuesday, it probably isn't the best time to start your listing. It is common knowledge that ending eBay auctions on a Sunday evening is the most profitable and popular time, but it wasn't until Rebecca pointed out that listing for 10 days on a Thursday means you cover two Sunday nights that I started putting this into practice. I have to say that so far it has been brilliant, and I think it has increased my eBay sales. eBay listing is boring. Possibly the most boring task in the world. However, you can save a little bit of time by listing similar items together. 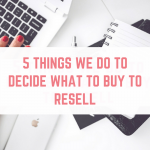 It could be that you do bundles of similar items (baby clothes, clothes in the same sizes, magazines, etc) or that you list items individually, but you simply choose “sell similar item” after listing the first one. eBay will then copy things over such as the category – this saves load of time! You are allowed to include 12 photographs for free on your listings, so try to use as many as you can. Photographs showing the item from a different angle, close ups and even any damage mean that your potential buyers are getting a clear picture about your items. Make sure you have good lighting for your photos too. When you are selling an item on eBay, try to be as descriptive as possible. A “size 18 New Look dress” is fine, but you are likely to get more interest if you include measurements and the materials that make up the fabric. Think about what you would like to know about an item before purchasing it and try to include that information. Damaged items also sell on eBay for a variety of reasons, so remember to be upfront about any damage. If your items don't sell first time round, or even perhaps the 5th time round, you might find yourself lucky the next time you list. Of course you need to draw a line after so many listings, but don't give up hope! You can relist your items easily on eBay, and you won't have to enter all the information again. It is great to have goals about how many items you are going to list on eBay, but that's no good if you end up suffering from eBay burnout. Instead, set yourself realistic goals. Find a system that works for you – it could be to list something every week day in a month, or to set yourself up with a film and keep listing items until the film is over. Whatever it is, make sure that it is manageable. Underestimating postage costs can quickly eat into your eBay profits, so it is important that you get these right. Don’t be put off by postage costs though, they are easier than ever to understand. Royal Mail have simplified it a lot over the recent years. A small parcel weighing up to 1kg comes under one price (a bigger sized parcel will cost a bit more though) but I am also completely in love with My Hermes, where it costs £2.75 for any parcels up to 1kg if you drop them off at a parcelshop and £3.10 if you need a courier to collect your parcel. Both of these are cheaper than Royal Mail’s prices. To accurately know how much your items weigh you can use some digital kitchen scales to get the job done – when buying your scales don’t forget batteries! I usually get them from Poundland but you can also get them online for a little more – Poundland is definitely cheaper! If you leave buying your packaging until the last minute then you could find yourself paying lots of money at the Post Office or in a supermarket. The moment you list something on eBay you can quickly buy packaging online, or even recycle your own packaging. I save lots of the jiffy bags and bubble wrap that I get sent in the post – not only does this save money but it also helps the environment. I only buy cellotape these days. If you do need to buy mailing bags or jiffy bags and you are buying them online, I like to get a job lot that comes with a variety of sizes. Make sure you take note of the measurements and if you don’t have a ruler to hand then I would like to introduce you to a website I visit all the time, i-ruler. I like both, and both have great advantages. When I list items as “buy it now” then I usually inflate the prices a little and allow buyers to send offers on the items. Auctions have the advantage of your items sky rocketing and fetching lots more than you were expecting. I use a mixture of both, and if I need to relist an item then I might mix it up and switch a buy it now to an auction, or vice versa. There is no doubt that 99p listings generate a lot of interest, but you also run the risk of your item selling for just that – 99p. I tend to only do 99p listings if I know for sure (or I am as sure as I can be) that it will get bid up. 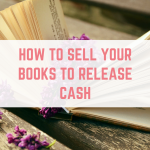 If your item sells for 99p and you have offered free postage then you will most likely be left out of pocket, so please be careful with 99p listings! However, if you list your item just £1-£2 less than someone can buy it for in a shop then it might not generate much interest. 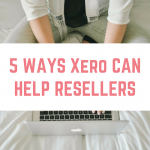 I would suggest that you are flexible and you try out different prices to see what works well for you and for the items you are selling. If you have seen any of my 10 Weird Things That Sold on eBay blog posts then you will know that anything and everything sells. It could be an old VHS player (which sold for £35 plus postage), a broken pen (which sold for £12) or even a manky, dirty remote control (which sold for £24.95). Even your smelly old shoes can sell on eBay. Nothing is too weird for eBay, and one person's junk is another person's treasure. There are only so many times that you can relist your eBay auctions before giving up. 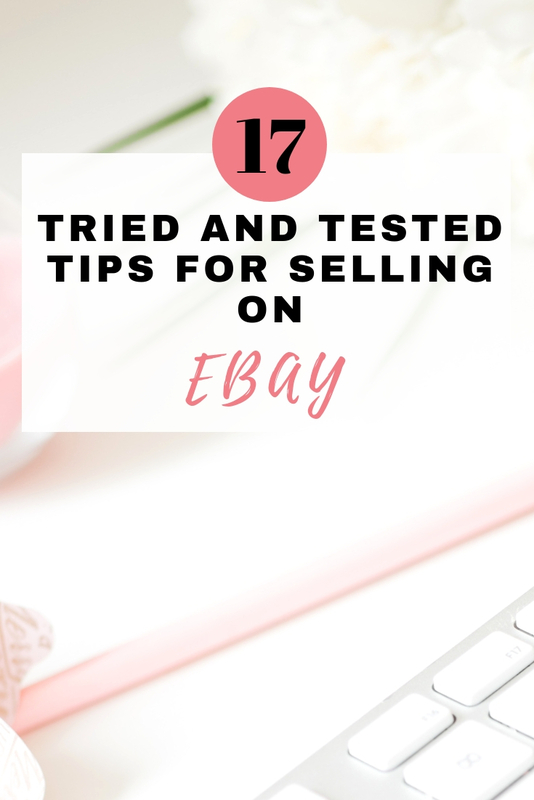 Take a look to see what else you can do when your eBay listings don't sell, including other places to try to sell your items. The threat of buyers opening an eBay case against you might put you off selling on eBay, but it doesn't have to. There are plenty of things you can do to protect yourself, and remember that selling on eBay comes with both buyer and seller protection. 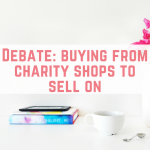 Is it okay to buy items from a charity shop to resell for a profit? Definitely get the eBay app on your phone it is really handy and is well worth it for the “cha-ching” sound it makes when you get a sale <3 very motivating! Good luck with your selling! I do not know why I am putting the shoes size and saying how long I have been wearing them etc. I do not say favorite or anything like that. I do get messages from people and they ask me questions about the smell and such … is my responses over ebay messaging how mine are getting removed? Also if anyone knows of another good site I could use to sell these instead of ebay that would be amazing! Thank you in advance! Just your Instagram page and blogs.. They are helpful informative and addictive. 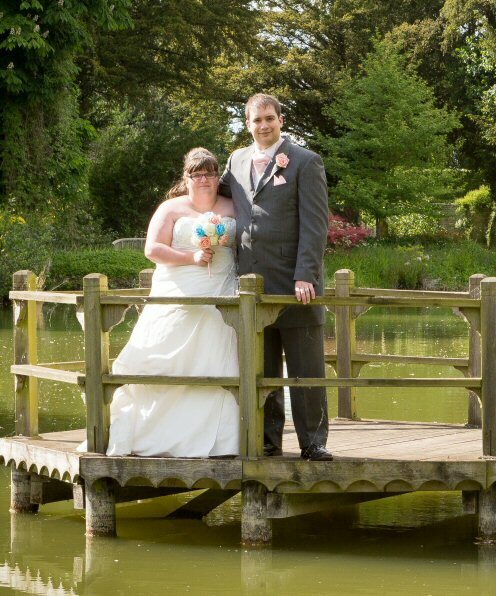 I’ve read this blog regarding EBay ‘buy it now’ versus ‘bids’….can you offer advice regarding ‘best offers’…. I’ve never really been succesful at selling things online, be it ebay or elsewhere. not sure where I am going wrong really. I dont thin kthe prices are unfair, there are pictures etc, just very few items seem to get any interest. Could it be the price? More pictures or descriptions? Depends on the item as well. Good luck! All online selling depends on how lucky you are as is with life in general. If you list an item when the right people happen to be looking then you will get a good price but if those parties arnt around then get ready for dissapointment. I sell space and other vintage toys and regularly check completed listings to see price trends but in most cases even if my item is as nice or often in nicer condition than others I never seem to achieve the same high prices. Its the same with buying,,, when I want something everybody seems to want it , but when I come to sell it very few seem to want it. I think it does depend on the right time. Like everything, things go up and down in popularity. Thank you for the amazing eBay tips! I once sold a composter bin (with contents!) on eBay. Also a bag of used wine bottle corks. 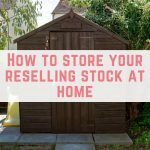 Great advice in this article, don’t think anything is impossible to be sold!